Did you know that our forklift school is always in session? ForkliftCertification.com offers comprehensive, cost-savings classes for anyone looking to become OSHA compliant. And one of the great things about FLC is that we’re always here for you! Training timetables rarely run on a tidy 9-to-5 schedule. With round-the-clock shifts, paid time off and other challenges, FLC’s online training courses represent the most convenient way to become an OSHA certified forklift driver. Why is Forklift School Important? Learning how to operate a forklift is the first step when it comes to starting a new career working with powered industrial trucks. As an employer, it’s the first thing you need to provide for workers before you can let them on a forklift. With the majority of forklift accidents being caused by operator error, forklift training with a reputable forklift school can save lives, prevent expensive equipment damage, and prevent costly fines from OSHA. Just because forklift training with a forklift school is important, it doesn’t have to be frustrating. ForkliftCertification.com puts you in the driver’s seat (literally) when it comes to obtaining top-flight instruction to learn how to drive a forklift. Seasoned professionals and fresh-faced rookies depend on FLC to deliver quality training content – wherever and whenever they are! • It’s schedule-friendly – FLC classes start, progress and end on your schedule. If you’re busy from 7-3, simply log on after normal hours. Have some free time over the weekend? Class is always open. Our 24/7/365 availability is just one big benefit you’ll receive with FLC. • It’s affordable – unlike other forklift schools, we pride ourselves in providing unbeatable value. Why settle for a 3rd party solution to learn how to operate a forklift when FLC meets & exceeds their service? Our competitive price structure means any size company can become OSHA certified. Plus, FLC training is a cost-effective substitute for both expensive outsourced training and in-house training material. The bottom line…we’ll help your bottom line! • It’s thorough – our in-house OSHA experts know what it takes to learn how to drive a forklift and become a professional, properly certified forklift driver. • It’s popular – just a few of our clients include Harley-Davidson, Snap-On Tools, Jenny Craig, Coca-Cola, Fuji Film and many more. Once a company signs up with FLC, they quickly realize no other forklift training school comes close. • It’s proven – our time-tested content withstands even the most detailed OSHA inspections. Companies depend on ForkliftCertification.com, and we deliver…every time. • It’s customized – we realize that forklift drivers have different job descriptions and day-to-day roles. So our 3-tier training package has something for everyone. We offer a Bundle Training Package, the Training Kit and a Train a Trainer class for drivers to learn how to operate a forklift, and for experienced operators to lead the training for new employees. • It’s beneficial long after class has ended. FLC’s instruction is easily absorbed and can be applied to real-life forklift operating situations right away. Our content is designed to help drivers and operators handle on-the-job challenges in a practical, professional manner. What Are OSHA’s Requirements for Forklift School? 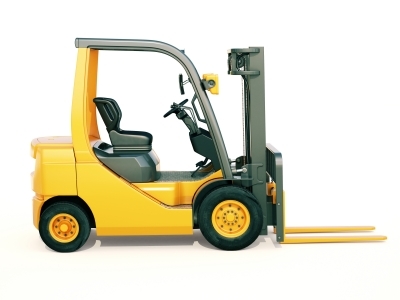 According to OSHA, all operators must be trained and certified to drive forklifts. It is the employer’s responsibility to make sure all forklift operators are competent to operate forklifts safely following the successful completion of training led by a qualified trainer. Luckily, with CertifyMe.net, it only takes about one hour for workers to complete training that covers all of these bases and is 100% compliant with OSHA standards. Once you’ve completed your forklift training program with ForkliftCertification.com and you’ve learned how to operate a forklift, you will feel ready and confident to supercharge your new career and accomplish your goals. Our Training Kit teaches workers how to operate Warehouse Forklifts, Pallet Jacks & Order Pickers, and Rough Terrain Forklifts to give workplaces with multi-skilled operators capable of preventing accidents. Start a New Exciting Career. With a forklift certification, you will be qualified to step into the in-demand manufacturing, warehouse, and construction industry to find a career and work environment that aligns with your interests. Boost Your Income. Learning how to operate a forklift through training will make you in demand, compared to untrained workers who are also paid less. Support Your Family. With a recession-proof career as a forklift operator, you will be able to support your family and ensure food is always on the table. Make that Move. All kinds of businesses and industries require the skills of forklift operators, meaning you won’t have a hard time finding a job if you train through a forklift school and decide to give yourself a fresh start in a new city. Learn how to drive a forklift and you’ll receive a portable skill for a moveable career. Are you ready to take advantage of all of the ways a forklift certification can positively change your life? A productive workforce starts with FLC training, and the latest semester of forklift certification school begins with the next call to FLC. The latest OSHA standards are often yesterday’s news. Rapidly changing guidelines and regulations make it tough for managers to stay on top of everything. ForkliftCertification.com is the only trainer you need. Sign up today on ForkliftCertification.com, or visit our our contact page or give us a call at call (888) 278-8896. Our customer service team can help get you started in forklift school today and help you learn how to drive a forklift.